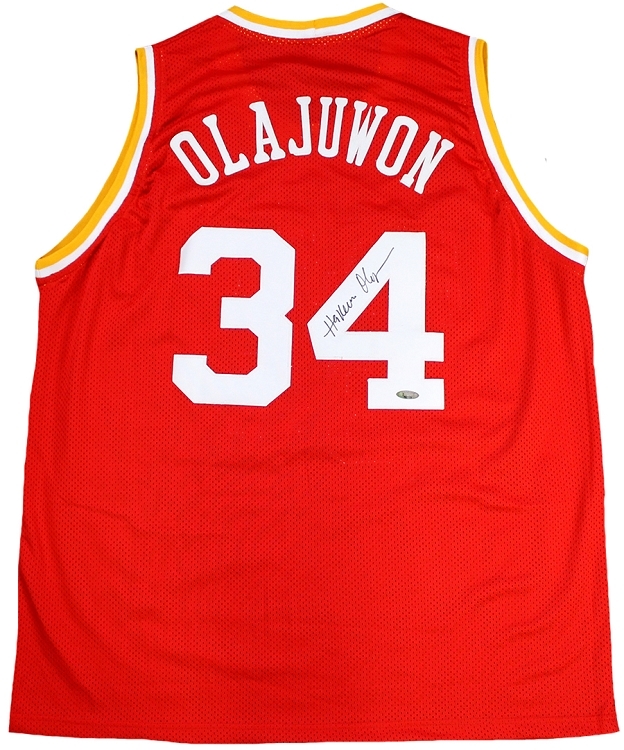 This custom Houston jersey has been hand signed by Hakeem Olajuwon. Each autograph is guaranteed authentic, and includes an individually numbered TRISTAR Authentic hologram. Note: Custom jerseys are made from high quality material with sewn on name and numbers. They do not contain any brand names, logos, or tags.